Ashfield Extrusion Ltd is a privately owned UK company, founded in 1984 specifically to produce aluminium products from the Impact Extrusion process. Today the company remains foremost in its field thanks to the ongoing commitment to development through reinvestment in plant, equipment and people. 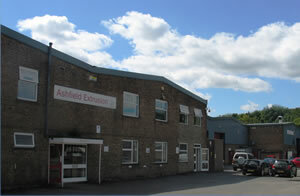 Centrally located in Nottinghamshire, UK, Ashfield currently export 60% of sales and have gained a worldwide reputation for technical expertise and a commitment to quality. Over the years Ashfield have developed in-depth technical knowledge of impact extrusion capabilities, allowing us to supply a wide variety of precision components and packaging solutions to a broad spectrum of applications. Our mission quite simply is the delivery of total satisfaction throughout every level of customer activity within all markets we supply.